Mysterious Mormon Rules: Burden or Blessing? When I became a Mormon as a teenager, someone suggested I had simply looked around for the church with the most rules and joined it. That wasn’t true, but it was true that having rules made me comfortable, as my friends knew. I’d already, at age seventeen, seen the consequences of making bad choices. After watching some friends ruin their lives through immorality, I’d decided that life without morality wasn’t for me. Although it seemed at first that the Mormons had a lot of rules, I soon realized most of them were rules I was already following, having grown up as a reasonably well-behaved child in a morally conservative family. Most of them were mere common sense. Do Mormons Think the Rules Will Save Them? It’s a myth that Mormons think they can work their way into Heaven by obeying a lot of rules. Mormons know we are saved through the atonement of Jesus Christ—it says this many times in the Book of Mormon and Bible and is taught even to the young children at church. We could not atone for our own sins, and we understand that if Jesus Christ had refused to carry through the atonement, we could not have been saved. We are not qualified to atone for our own sins. That said, we are saved from our sins, not in them. The Bible talks often about the eternal importance of obeying commandments and makes it clear that if we say we’re Christian but then go on to live any way we want to live, we aren’t going to be able to live with God. The wicked can’t be in God’s presence. Repentance is a required process in the gospel, and if there are no rules, you can’t repent. Not every one that saith unto me, Lord, Lord, shall enter into the kingdom of heaven; but he that doeth the will of my Father which is in heaven (Matthew 7:21, KJV of the Bible). We must remember that if I say I accept Jesus Christ as my Savior but then walk out the door and rob a bank, I probably was not sincere in my profession of faith. Our actions, when done for the right reasons, are a demonstration of our commitment to and love for the Savior. Christianity is meant to be life changing. We have to be willing to sacrifice our favorite sins for God. However, done for the wrong reasons, the actions have no benefit, because they were done for selfish reasons and not because we love Jesus Christ. This is why Jesus tied obedience to love in John 14:15. Are All Those Mormon Rules a Burden? When people refer to Mormon rules as a burden, I often think it might help if they changed their terminology. Mormons don’t call them Mormon rules—they call them God’s commandments. To a Christian, of course, keeping God’s commandments is a privilege, not a burden. God gives us so much and asks comparatively little of us in return. What He does ask isn’t random. Mormons know every commandment has a purpose. We might not always know what it is—although eventually we often figure it out—but we trust God. That quote has always helped me when I start wishing we didn’t have a certain rule. I love God and Jesus Christ. Why should it ever irritate me to do what God asks me to do? If I really love Them, I will trust Them to ask me to do what is right. The stronger my testimony of God and Jesus, the easier it becomes to keep the commandments. Is it a burden? No, it’s an honor. Don’t All Those Rules Make You Clones? One of my favorite ways to explain why we can have a lot of rules and all be different from each other is to use the sonnet as an analogy. A sonnet is a type of long poem with a lot of rules. Sonnets have to be exactly fourteen lines long and every line has to be in iambic pentameter. You have to follow the rhyme scheme for the type of sonnet you’re writing. It even has to use metaphors and build its case a certain way. They are considered valuable exercises for writers because they force the writer to think in new ways, choose words they might not naturally choose, and to pay attention to the smallest details while writing. Sonnets take a lot of work, but as Shakespeare demonstrated, they have great power when they’re done well. The gospel of Jesus Christ is like a sonnet. There are strict rules governing the sonnet, and yet there have been millions of unique sonnets written throughout history. Mormons may have a lot of rules (but not as many as you think) and yet each Mormon is completely unique. There is room for creativity within the structure and living within that structure brings spiritual maturity and power. The structure involves those things that are essential for our salvation and that keep us safe from the consequences of bad choices. Some “rules” are commandments, such as keeping the Sabbath Day holy or not drinking alcohol. Others are just common sense recommendations, such as getting an education. Mormons find that when they stay inside the structure, they avoid a great many of the difficult challenges other people face. We’ll talk more about that later in the article. When there isn’t a specific rule, Mormons can choose for themselves. A fascinating way to explore how Mormons manage very diverse lives while living in a sonnet-like structure is to watch the “I’m a Mormon” videos and to read the written bios from hundreds of ordinary Mormons like me. Read “I’m a Mormon” biographies. Watch fun unscripted video profiles of ordinary Mormons. How Do You Know It’s really a Commandment? People sometimes wonder how we really know that what the Church says for us to do is really God’s will. Do we just blindly do as we’re told? Agency is a critical part of Mormon belief. We believe we chose to come here to live in mortality on the earth, after dwelling in a spiritual, pre-mortal life with God our Father. And we chose to accept the challenges we’d face during our lifetimes. We believe that conversion is voluntary. We also, though, believe in making informed decisions. That doesn’t mean we will always know exactly why God wants us to do something before we do it—the Bible shows us God often just wants us to trust Him. However, He has given us a way to find out if a commandment is real. Of course, the method depends on our ability to trust God and our willingness to pray for answers. God promised in the Bible (James 1:5, for instance) that if we ask God for wisdom, He will give it to us—but we must ask in faith, nothing wavering. Mormons learn how to do this at a young age. Before they are baptized at age eight, children are taught how to know if God is real and how to ask Him if the Church is true. They learn how to pray to know if the Mormon prophet really is a prophet of God. They’re encouraged to repeat these prayerful requests for wisdom as needed as they are growing up and in fact, throughout their lives. Sometimes, though, even when you really do believe the prophet is a prophet, you find yourself struggling with something. There is a commandment you wish wasn’t true for whatever reason—maybe you wish you could drink coffee in order to stay awake after a late night of playing. Perhaps you wish you could use your tithing money for something you think you need or want more. It is considered perfectly acceptable to pray to God specifically about that commandment. In fact, we’re encouraged to do so. Mormons learn to first study the topic. This means to read the scriptures to see what they tell us and to find out what the prophets have said on the subject. We’re encouraged to put a commandment to the test. Give up coffee and see if, once the addiction is gone, you feel better. Stop drinking alcohol and see if your life improves. Pay your tithing and pay attention to how life works out and the impressions God places in your heart and mind. Then make a decision and pray about it. Ask God to help you understand what He wants you to do. Be willing to accept the answer even if it isn’t what you were hoping for. When you’ve done this often enough, a pattern emerges, and you can recognize a yes or a no when you receive it. When I was first learning to pray this way, I kept track of how impressions came to me—warm, peaceful, and powerful feelings in my heart, thoughts in my mind that don’t seem like my own, a happy feeling of true joy (not worldly pleasure) when I’ve done the right thing. I noticed the results of the actions. Eventually I understood that these answers were really answers because things always worked out correctly. Negative or confusing feelings generally meant I needed to go back and start over. Mormons, then, aren’t acting on blind faith. They’re getting their instructions from God. Can you think of a safer guide through life? The prophet delivers God’s words to us, but we have the privilege and responsibility to confirm those words if we face doubts. Why Does God Make So Many Rules? When I read the Old Testament and study the Law of Moses, I’m always glad I didn’t live then. They make the Mormon rules look easy! Still, God had a reason for them. He wasn’t just trying to make their lives hard. They were learning to obey and to sacrifice. Many of the rules helped to prepare them to understand the mission and teachings of Jesus Christ later on. Jesus kept the Law of Moses and I never saw any sign that He considered them a burden. I think that is because He completely understood them. The “what” and “how” of obedience mark the way and keep us on the right path. 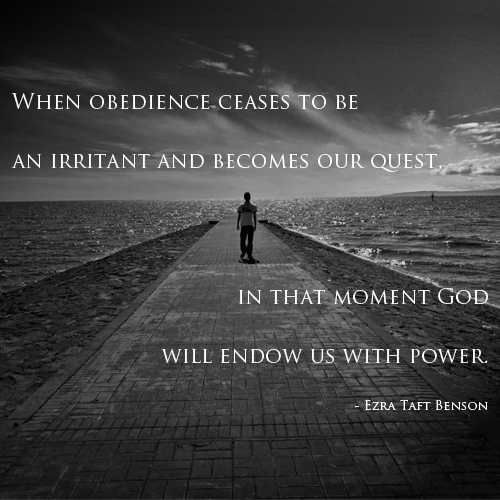 The “why” of obedience sanctifies our actions, transforming the mundane into the majestic. It magnifies our small acts of obedience into holy acts of consecration (President Dieter F. Uchtdorf, Forget Me Not, Ensign, November 2011). 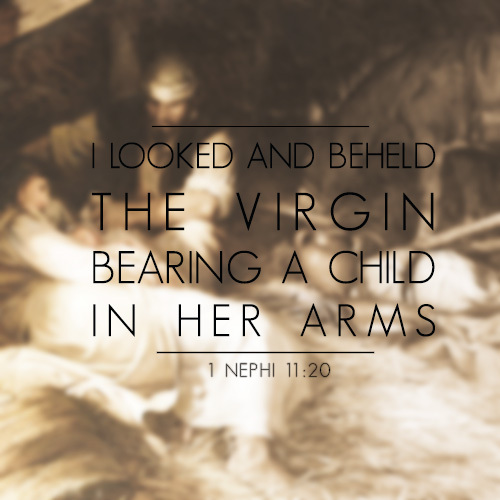 Sometimes the scriptures give us the “why.” Sometimes the “why” is obvious to us. Sometimes we just have to wait and find out the results of our obedience. When Joseph Smith, the first Mormon prophet, gave the Word of Wisdom, the Mormon health code, it seemed weird to many people. Today, doctors are teaching us to eat that way—science caught up with God. In the early days of the church, however, Mormons just had to take it on faith that whole grains, lots of fruits and vegetables, smaller quantities of meat, and avoidance of addictive substances such as coffee, tea, alcohol, and tobacco were a good idea. When we look at the problems created by modern concepts of morality we realize God knew what He was doing when He created rules for us. Choices have consequences, and most often the consequences don’t come from God, but from life. They are the natural consequences of poor choices in life. Our parents taught us to avoid stupid decisions that could lead to bad natural consequences, such as getting hit by a car if we run into the street without looking. God’s rules are much like this. The consequences are not worth whatever satisfaction we think the sin gives us. What Are Some of Your Favorite Mormon Rules? Let’s look at just a few Mormon rules that non-Mormons often comment on when discussing Mormon rules. I’ll let you know what I like about them and how they impact my life as a Mormon woman. When seen through the eyes of a Mormon, they may begin to make sense. Many people are shocked that Mormons try to keep the Sabbath Day holy and that they willingly attend church for three hours each Sunday. It is, however, something I look forward to all week. The Bible teaches us to keep the Sabbath Day holy. It was so important God made it one of the Ten Commandments and He never repealed it. Even the Law of Moses acknowledges times when an exception can be made — it’s okay to rescue your suffering animal on the Sabbath. Jesus healed a sick person on the Sabbath. He did not, however, take away the Sabbath Day commandment. We’re supposed to keep the Sabbath Day holy all day and the reasons for it are wise. All week long I’m very busy with family, volunteer work, and self-employment. During that time, it often seems hard to find as much time as I’d like to give God. This morning, for instance, I read my scriptures, but stopped sooner than I would have liked because I had to get to work. There are some Sabbath-appropriate activities I love that I don’t have time for at all during the week. Sundays, however, are just for God. He gives me six days to do all the other things I need to do and only asks for one to be spent on Him. This seems very fair since I wouldn’t have any of the days if it weren’t for God. Three hours of church? They are the highlight of my week! Mormons consider church attendance to be a visit to God’s home. It is a time to focus just on God and Jesus Christ. We take the Sacrament (Communion), learn more about God and the Savior, study the scriptures, and, in my case, teach them to children. It is a peaceful time away from the challenges of the world. There is no housework, no business distraction, no phone ringing…just me and my time with God and His followers. I come away from my three hours tired, since I teach little children, but spiritually and emotionally refreshed. I’ve enjoyed learning and teaching the gospel. I renew my covenants (promises) to God when I take the Sacrament. When I get home, I do only the necessary chores, such as preparing a simple dinner. I don’t shop or sightsee. I have plenty of time to work on my church lessons, read the scriptures, and do my genealogy, which Mormons consider a family-time activity. When my children were young, I had more time for them. Now that they’re grown, I can spend more time quietly talking to my husband and more time refreshing the spirit. When I sit down at my desk on Monday morning, I’m refreshed, spiritually charged, and ready to face the world. Unlike most people, I love Mondays because that spiritual recharging is still fresh. Three hours at church is not hard at all when you spend it visiting and learning about someone you love. These are strong words: Failing to pay your tithing is robbing God. Jesus praised the widow who gave her mite, because her sacrifice to God was greater than that of the wealthy men who would never miss the money. I’ve heard it said that the atonement did away with that (and anything else the speaker might not want to do), but the atonement did not make it free to do God’s work, and having more money for personal pleasure is not what the atonement was about. Tithing is still a commandment. Today, many churches that no longer teach it are struggling to stay open and to have money for their charitable works. My tithing does not go to pay salaries of church leaders. It does go to maintain the building where I attend church, the temples, the charitable work, the supplies needed to run a congregation, missionary work, and other important essentials. The benefits to me are greater than whatever benefit the money might have provided me had I kept it. Now, do not get me wrong. I am not here to say that if you pay an honest tithing you will realize your dream of a fine house, a Rolls Royce, and a condominium in Hawaii. The Lord will open the windows of heaven according to our need, and not according to our greed. If we are paying tithing to get rich, we are doing it for the wrong reason. The basic purpose for tithing is to provide the Church with the means needed to carry on His work. The blessing to the giver is an ancillary return, and that blessing may not be always in the form of financial or material benefit (President Gordon B. Hinckley, Tithing: An Opportunity to Prove Our Faithfulness, Ensign, May 1982). Like Sabbath Day observance, tithing is a gift of love to God. Mormons try to not feel burdened by being asked to give back to the God who gave us everything. We consider it is God’s money and that we’d not have it at all without His blessing. For that reason, we’re happy to return the small amount He asks for—ten percent in tithing and more in donations and offerings to special funds, including those that care for the poor. It’s likely you already know about the Mormon health code. We call it the Word of Wisdom because that’s what it is. While there are some don’ts (no alcohol, no cigarettes, no recreational drugs, no coffee and no tea) there are also some do’s most people aren’t aware of: eat meat sparingly, eat whole grains, enjoy fresh fruits and vegetables, and get enough rest. As I mentioned earlier, these are common sense guidelines today, but were a little unusual in the 1800s. Today we know just how dangerous cigarettes are. We see the tragedies that come from drug and alcohol abuse. We know coffee is an addictive substance. Having grown up watching a grandmother die of smoking-related diseases and having seen the impact of alcoholism on family members (and finding that it runs through several lines of my family), I found these rules easy to adjust to. I became a Mormon at age 17, but had never been interested in cigarettes or alcohol. I’d seen their dangers and knew that addiction tendencies are inherited. Watching how completely addicted to coffee many people have become, I’m glad I never liked it anyway. The easiest way to live the Word of Wisdom is to simply avoid ever getting addicted to these substances. For those who become Mormon later, there is a certain satisfaction when they find themselves free of the addictions and problems the forbidden substances created. You can’t live the life God planned for you if you’re dependent on addictive substances in order to get through a day. When I teach children, I try hard to help them realize how much more wonderful it is to go through life on their own strength. These are just a few of the Mormon rules people talk about. There are others, but they are all equally designed to help me stay safe or to allow me greater ability to show God and Jesus Christ how grateful I am to them for their gifts of love to me. Mormon rules: Burden or blessing? For me, as a Christian, they are a blessing and one more way I know God loves me. He is doing His best to keep me safe and I’m always working to live up to His expectations for me. I want to become the person He knows I can be.